Leigh is a village and parish in the Sevenoaks district of Kent, three miles west of Tonbridge, that is thought to have grown from a hamlet that dates to the late 11th century. You can find here access to the Society’s archives as well as articles which have been written by members for the Leigh Parish Magazine. To find out more, or to join the Leigh and District Historical Society please contact us. The village of Leigh in Kent dates back to the 11th century. 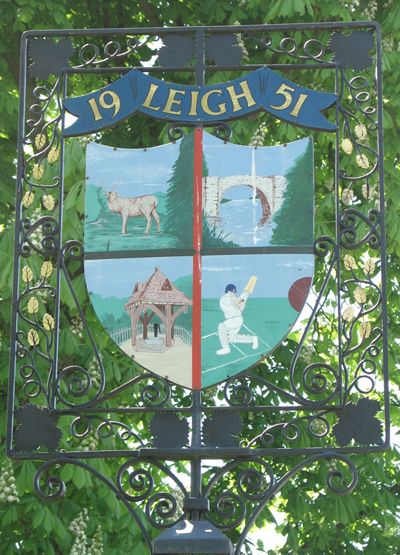 Read articles relating to the history of Leigh and district from the medieval period onwards. Articles relating to the many families who have lived in Leigh and the surrounding area. Includes registers of those buried in the churchyard of St Mary's and those commemorated on Leigh war memorial and Chiddingstone Causeway war memorial. Leigh has several distinctive Victorian buildings around the Green and in the High Street, but many are even older. Maps, articles and early photographs relating to the buildings and institutions in Leigh, Powder Mills and the surrounding area.